Does threed belong in this group? Does mhr7687 belong in this group? Looking for a relationship Hi I'm Josh. I play guitar, make art, love animals, explore, and spend a great deal of time having existential crises. Conversation is nice; talk to me. Does lemonyalmond belong in this group? Does vastile belong in this group? 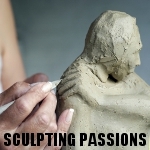 I live to sculpt & create I like to make things out of anything I can find. Does justsexual belong in this group? Does xgreezychickenx belong in this group? Does quantum999man belong in this group? Does topazwolf belong in this group?